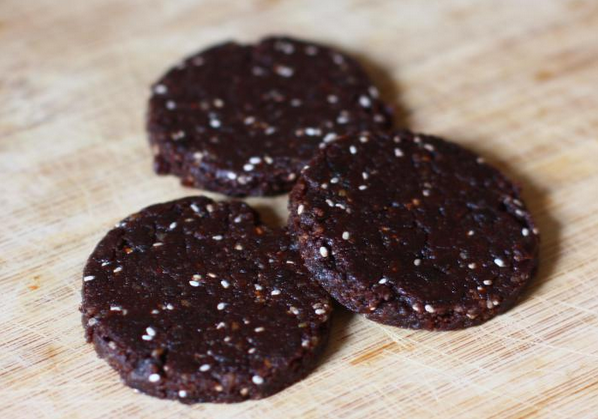 If you love the intense flavour of chocolate, but suffer from an unfortunate intolerance to caffeine, then you’ll totally adore our raw carob and walnut cookies! 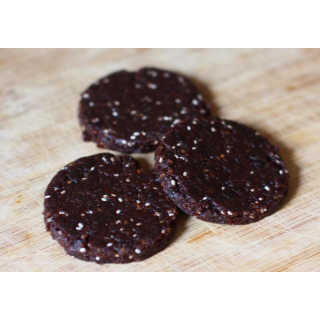 That’s because these delicious raw biscuits are made using organic carob powder instead of cocoa powder. Organic carob powder is a natural superfood made from the carob beans that grow in the carob pods of the carob tree (Ceratonia siliqua), an evergreen native to Mediterranean regions of Southern Europe, Northern Africa and parts of the Middle East. Also known as ‘honey locust’ or ‘St. John's Bread’ (because they are believed to have been eaten by John the Baptist in the wilderness), carob has been used as an important source of food for more than five thousand years. Indeed, organic carob powder is utterly loaded with valuable nutrients, including vitamins (A, B1, B2, B3 and D), minerals (calcium, magnesium, iron, phosphorus, manganese and potassium), antioxidants, fibre and protein. Yet, unlike most cocoa products, organic carob powder contains zero caffeine or theobromine (known stimulants) and absolutely no fattening dairy products. And organic carob powder boasts a rich chocolate-like flavour that tastes perfect when mixed into your preferred smoothies, shakes and protein drinks and the yummy superfood adds an extra kick to all manner of rawfood recipes, including raw chocolate, cakes and desserts. Our carob and walnut cookies below showcase this unique and versatile superfood to perfection. We said it was easy – simply pop all of the above ingredients into your blender and process into a rich, sticky dough. Lastly shape into round cookie shapes and place in your fridge for around 1 hour before serving. Enjoy as a healthy rawfood snack between meals.